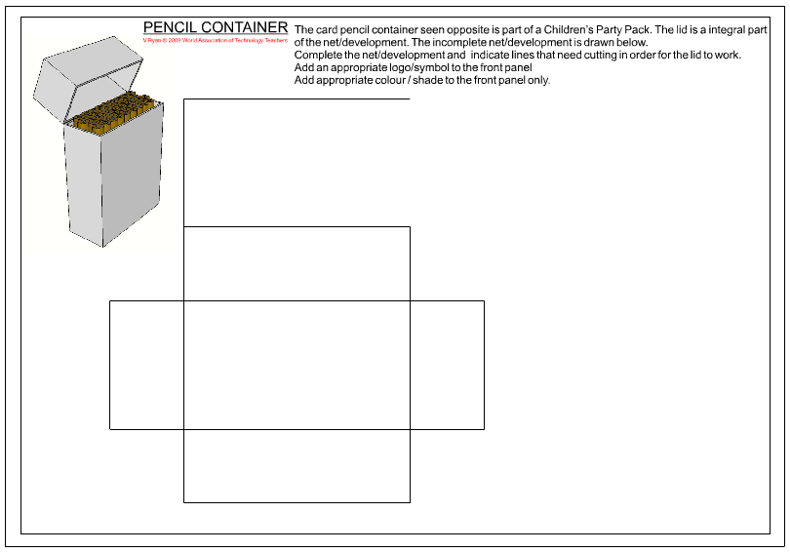 The card pencil container seen below is part of a Children’s Party Pack. The lid is a integral part of the net/development. 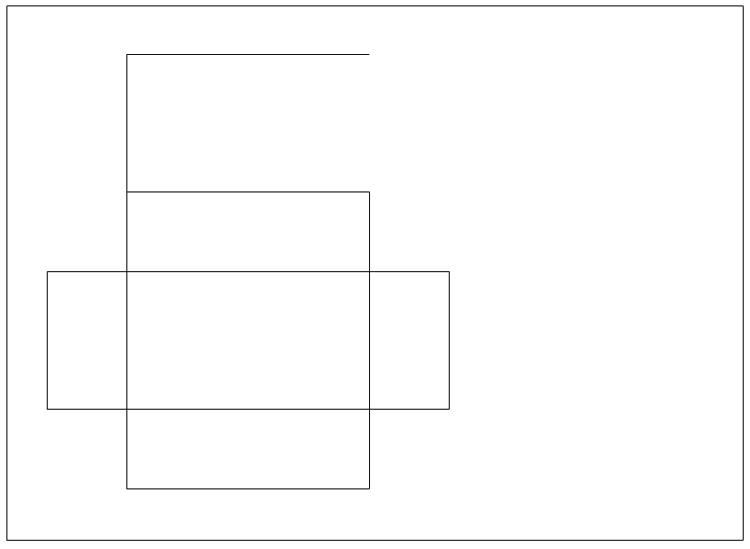 The incomplete net/development is drawn below. Complete the net/development and indicate lines that need cutting in order for the lid to work. Add appropriate colour / shade to the front panel only.